Since 2014 Kelly Ann Brown Foundation has been honored to support the work of the Louisiana-Mississippi Hospice and Palliative Care Organization’s (LMHPCO) prison hospice program. December 11-15, 2017, LMHPCO sponsored the 2017 Caregiver Conference at the Louisiana State Penitentiary at Angola. 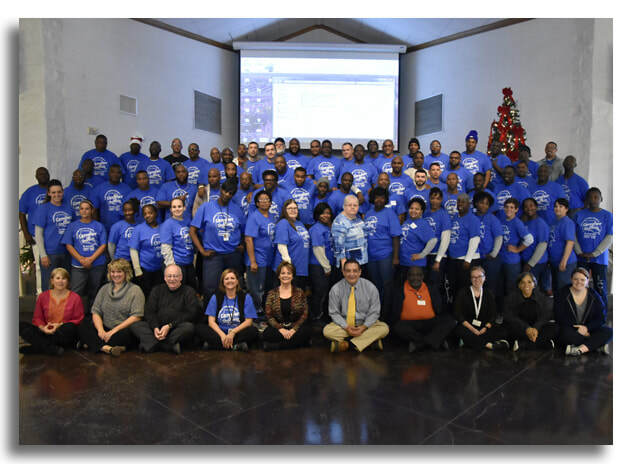 Among the topics addressed were: “We Honor Veterans’ Needs by War Trauma,” “Meditation and Contemplative Practice: Looking Inward, Seeing Outward,” and “Grief, Bereavement & the Incarcerated Caregiver.” 96 inmate volunteers and 14 professional staffers from four prisons attended the conference. Angola’s prison hospice program has transformed that prison from a formerly notoriously violent prison into a national model. Other correctional facilities are modeling their end-of-life care on their wonderful work. We look forward to hearing about their continued success.